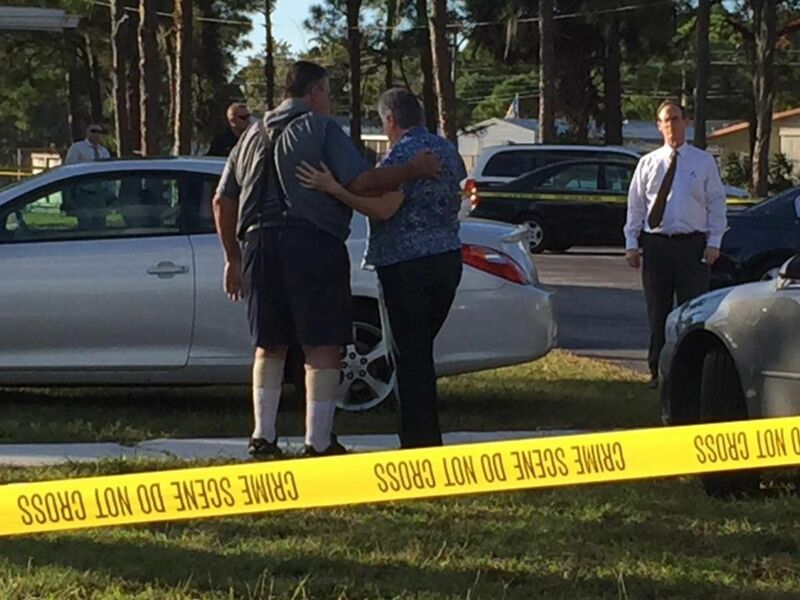 BRADENTON, Fla. -- A Florida man killed his wife and another woman Thursday, then headed to the church where his wife worked and fatally shot the pastor, authorities said. Police were searching for Andres "Andy" Avalos, 33. The Manatee County sheriff's office said he killed James "Tripp" Battle, 31, at the Bayshore Baptist Church. A witness to the shooting told deputies at the scene about the other two victims, said sheriff's spokesman Dave Bristow. "We don't know exactly what transpired," Bristow said. Investigators went to the house and found the bodies of 33-year-old Amber Avalos and a friend, 46-year-old Denise Potter, CBS affiliate WTSP reported. Amber Avalos worked at the church as its nursery and children's director. The Avaloses have six children and Bristow said they are in the custody of a relative. He said it has not been determined how the women died but that detectives think they were killed first at the home. Detectives say Andy Avalos was last seen near the church driving a gold-colored Chevrolet Suburban in Bradenton, which is about 45 miles south of Tampa along Florida's Gulf coast. "We don't know if whether or not he is still alive," Bristow said. "We presume he is." The Bayshore Baptist website said that Andy Avalos' father also is a minister. It says Battle and his wife, Joy, who is the church's secretary, have a 5-year-old daughter and a 2-year-old son. "We have to be strong for Joy," church member Linda Stewart was quoted by the Bradenton Herald as saying. "I don't know how she will get through this." E.W "Karp" Carpenter, a member of the church since the 1950s, told the newspaper that Battle "was a great pastor," and that the church's congregation grew from 30 to more than 100 under his stewardship. "He was 31 years old and would give you shirt off his back," Carpenter said. "It will take me days to get over this. He was in the prime of his life." The newspaper quoted Sheriff Brad Steube as saying that Battle and Avalos met face-to-face in the church courtyard shortly before the shooting. "The pastor saw this coming," he said. Jane Riley, a neighbor of the Avalos family, told The Associated Press that the neighborhood near the Manatee River is "like the sweetest little community," although she did point out that in 2008, a previous tenant of the Avaloses' home was slain during a home invasion. "Now I'm scared," said Riley. "I have an alarm system, but is that enough? I hope the cops hang around for a while."